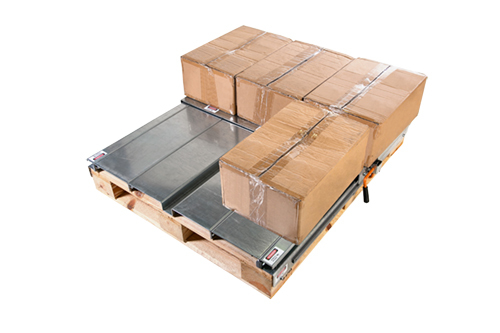 When you add pick planks to your pallet storage of cartons and cases, your pick workers can access pick items faster and with less danger. 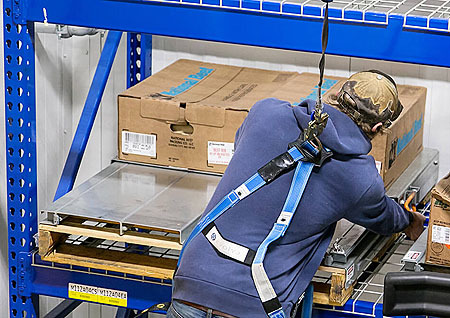 Instead of having to move into the rack bay to retrieve the back rows of product, they are able to bring the product forward on the pallet by sliding the pick plank forward with minimal stress and strain. With pick planks you're able to always pick from the front of the rack. That means your beam spacing can be tighter because workers no longer need extra space between the beam levels to be able to access the back rows of product. Less head room means more storage space in the same square footage. It also means that your palletized goods are no longer static storage - they've become dynamic through the simple application of the pick plank product. When you can keep pick items at the front of the pallet rack pick times are faster. Your workers aren't spending valuable time climbing into the rack bays to drag cases and cartons out. 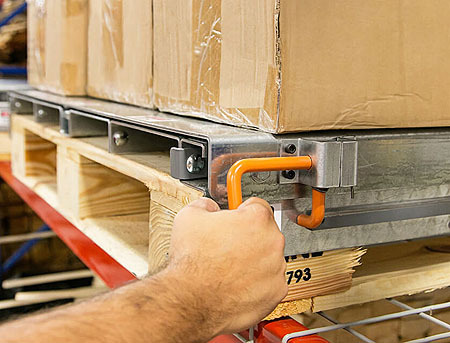 They simply lift the pick plank lock handle and slide the back rows of goods forward in one smooth movement. Now they can easily access pick items and do it much faster.